I have to admit, I had a bit of a tough year on the basketball court. In the past, I’ve been lucky to have avoided injuries for extended periods of time, so this was a first for me. Dealing with injuries throughout this season, I found myself focusing on rehabbing, as I’m always trying to make progress and get better. I also am continually looking for ways to make progress off the court as well. That’s where my passion for angel investing came in to play. My journey to becoming an angel investor started in the summer of 2017 when I came across a tweet by entrepreneur-turned angel investor Jason Calacanis that caught my eye and we connected on Twitter. I did a little research into who Jason was and noticed he had just authored a book called Angel – I had a flight to Australia ahead of me so I bought the book and read it cover to cover in the first couple of hours on my plane ride home. I became even more interested in angel investing after that and wanted more information, so I got on Jason’s Syndicate. Shortly after, I made my first investment through the syndicate in Blokable, a company that builds & delivers housing structures that can be connected and stacked to solve a lot of different economic and environmental issues. Another investment I made through Jason’s syndicate that I am really excited about is Cafe X, a coffee bar that serves you your coffee via a robotic arm. There are currently two Cafe X locations in San Francisco with plans for large scale expansion. Shortly after investing, I was fortunate enough to spend a few days in San Francisco during a West Coast road trip with the Bucks. Conveniently, one of the Cafe X locations was just a short walk from my hotel, so I was able to go check it out. I was amazed with the technology and experience – it was such a cool feeling to know that I was now a small part of such a great company. This experience only amplified my passion for angel investing. In addition to the Syndicate, Jason also runs a really cool 12-week program for promising start-ups called the Launch incubator. In fact, I’ve just gotten back from attending one of the incubator pitch sessions where I sat in as a judge with other angel investors to provide each start-up feedback through Q&A. It was great not only to listen to the pitches of 6 great companies but also get to talk to experienced angel investors and Venture Capitalists. Apart from Jason’s syndicate and incubator, I’m particularly excited about another start-up I’ve just invested in called Starsona. Starsona is an app where fans can request personalized video messages from their favorite stars. I really liked this opportunity because I knew it would not only be something I could invest in, but I could also help it grow. You can look for me on Starsona now and request a personalized video. One hundred percent of the money I receive from creating these videos will be donated to charity. For me, Starsona provides an easy way to connect with my fans and really try to make their day! The NBA has always stressed to its players the importance of planning for our futures after basketball – after all, we’ll spend a greater amount of time in our post NBA careers than we will actually playing in the NBA. I’m constantly thinking about/trying to figure out what I want to do when I’m finished playing – It’s all about planning & preparation right now. Angel investing is definitely something I want to continue exploring both during and post my basketball career. I believe that if I put in the time, effort and energy to build a foundation now, then I’ll be able to set myself up for success as an angel investor well into the future. One of the main reasons I enjoy being an angel investor is getting to meet passionate founders with huge goals in the early stages of their start-ups – there’s a lot of excitement and energy and I’m definitely drawn to this sort of environment. Also, I’ve really enjoyed learning about the different industries these start-ups are in and hope to be an asset to entrepreneurs that are trying to grow their business. It is a high risk-high reward type of investment, so I am definitely following the advice from Angel: The Book and from other angel investors: start slow, make many small bets and only invest what you can afford to lose. Speaking of books and learning – I’m always on the look-out for great books and podcasts. 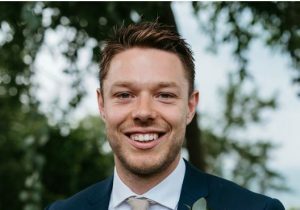 If anyone has any great podcasts or books in this space (or in general) I would love to hear about them in the comments section of this blog post or share with me on Twitter @matthewdelly. Some of the podcasts I really enjoy include: How I built this, Angel: The Podcast, This Week In Startups and I’ve just started on Masters of Scale. In terms of books, I’ve got Venture Deals by Brad Feld on my list and I’m currently halfway through Skin in the Game by Nassim Nicholas Taleb. I’ve been exposed to some amazing ideas and start-ups over the past year, and I’m excited to continue investing. I’ve just started re-using my LinkedIn account that I originally set up while attending college at Saint Mary’s College of California, so if you’d like to follow my angel investing activity as well as other businesses I’m working on off the court, be sure to check out my LinkedIn page. Up Next. This summer is packed with family time, Boomers basketball and sponsor appearances. I’m excited to be heading to the Philippines and Japan with my Boomers teammates to compete in the FIBA Basketball World Cup 2019 Asian Qualifier; to Manila, Rome and Paris to promote my clothing and shoe line (Delly 2’s coming soon!) with Peak; and to Sydney for several activities and appearances with Spalding. While in Sydney I’ll have a great opportunity to attend my first LAUNCH Festival, the largest start-up festival in the world, where I’ve been asked to be a speaker during a Fireside Chat in addition to serving as a judge for the start-up competition. I’m really looking forward to taking it all in and observing what goes on at these festivals – I’m excited to meet and talk with passionate entrepreneurs who want to change the world.